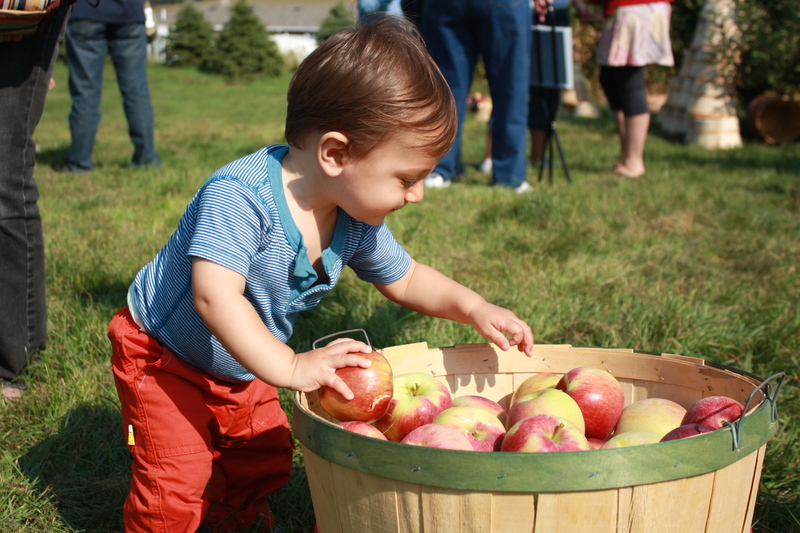 JP on his first birthday, beholding a basket full of apples with little teeth marks. C and I just reread “Our Apple Tree” and this year also made the apple crisp recipe in the back. Yum! Love this book! So simple, yet so evocative. How did I not register the recipe in the back after all these years?! Going to find my copy right now, yum! You are currently reading Apple Picking for Beginners: Part One of Two at What to Read to Your Kids.